Perhaps the most special in Africa strongly recomended. 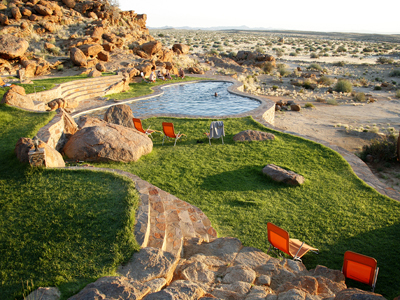 If you want to explore the splendour and natural wonder of Namibia’s Fish River Canyon, make the Canon Lodge your base. 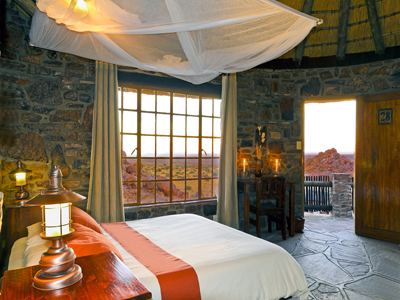 This luxury lodge is only 20 km from the main viewpoint of the Fish River Canyon, and is situated in the Ai-Ais-Richtersveld Transfrontier Conservation Park and in the privately owned Gondwana Canyon Park. 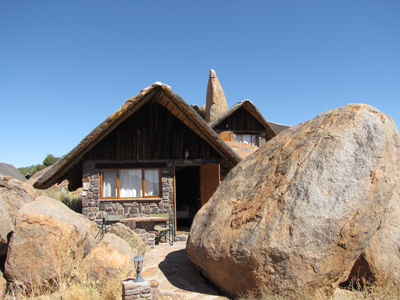 The design and architecture of the Canon Lodge, situated between huge granite boulders, pays tribute to its surroundings in a unique manner. 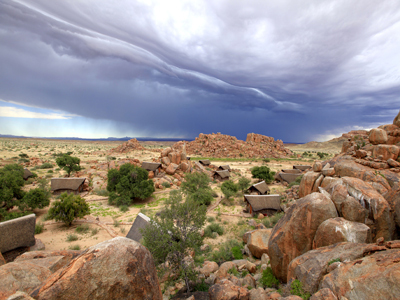 5 km from the picturesque Richtersveld Transfrontier National Park. Each of the 25 thatched, wooden en suite units of the Canon Lodge has been positioned in such a way that the boulders form part of their structure. 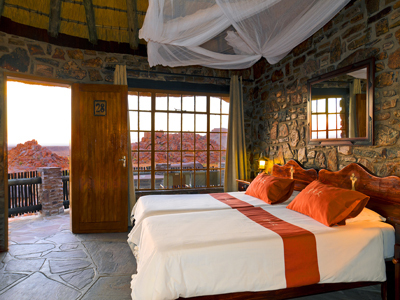 Cool, weather-beaten granite walls form a stark contrast to the crisp linen and mosquito nets of the bedrooms. Similarly, the criss-cross of erosion patterns in the granite boulders protruding into the bathrooms make a welcome change to the standard fare of ceramic wall tiles. Like the rest of the Canon Lodge, the swimming pool blends into the vast landscape. The traditional Namibian cuisine offered at the Canon Lodge is surpassed only by the spectacular surroundings. The restaurant, originally a farmhouse built in 1908 by a trio of brothers from Bavaria, has been lovingly restored and offers a breathtaking view of the majestic Fish River Canyon. Enjoy a refreshing drink at the bar area at sunset while drinking in the awesome splendour of the surroundings. Most of the ingredients of the delicious food served in the restaurant at Canon Lodge has been produced by our self-Sufficiency Centre. This includes the dairy products, farm eggs, cold meats, as well as fresh fruit, vegetables and herbs. You can order light lunches from the a la carte menu and in the evenings indulge in a traditional Namibian feast: delicious game dishes combined with innovative side dishes from the sumptious buffet. You can experience the natural wonder of the Fish River Canyon by various marked trails, guided hikes, horse trials or a guided canyon drive. 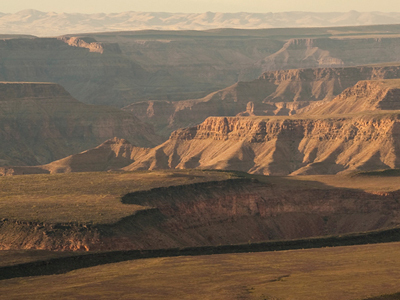 For an experience of a lifetime, book a flight over the Fish River Canyon upon your arrival at the Canon Lodge.